Now that we are into the cold months of winter I love making a big pot of hot soup, like this Chicken Pot Pie Soup for when my family arrives home. 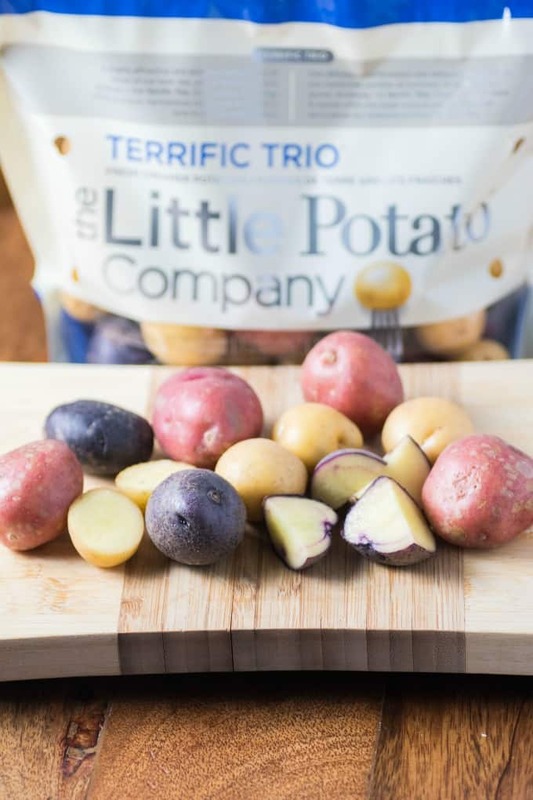 It is an easy meal and Little Potato Company makes it even easier with pre-washed Creamer potatoes. They also don’t need any peeling, which is a huge time saver for busy moms on the run!! I love the little size of them, so easy to slice in half or quarters if need be, like in this soup. The soup is lovely enough to be served to guests also. Nobody has to know that it took you no time at all to pull together!! Serve with a big crunchy salad and your guests will give you rave reviews!! 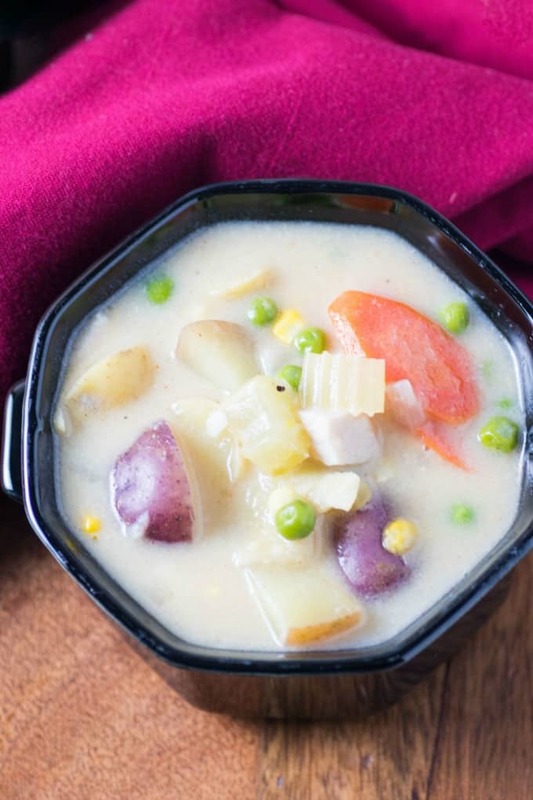 This exceptional soup is a very nutritious choice with all the wonderful veggies including little potatoes that have a burst of nutrition in every serving. 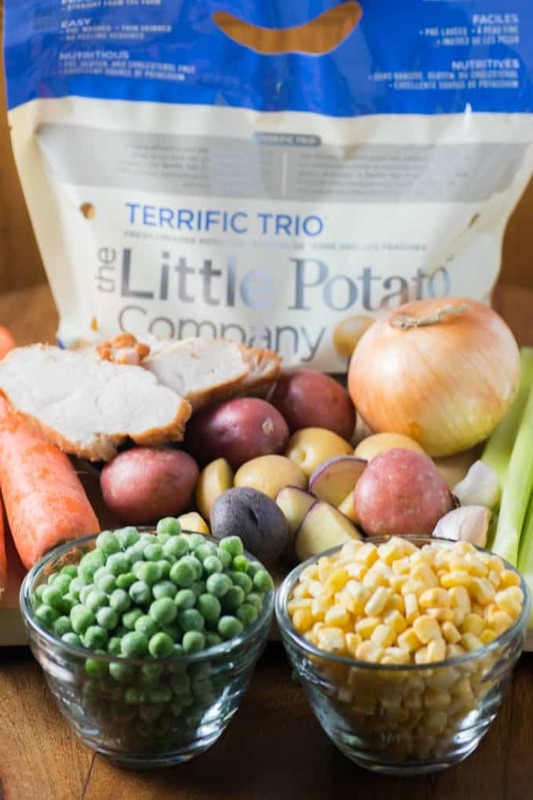 I choose The Little Potato Company’s Terrific Trio for this recipe with all their wonderful colours. They are naturally fat-free, sodium-free, cholesterol-free, gluten-free and only 120 calories per serving. Plus they are a good source of potassium, iron, fiber and vitamin C. All the goodness that you and your family is looking for. Simple ingredients yet this soup tastes nothing but divine. So comforting on a cold winter night! 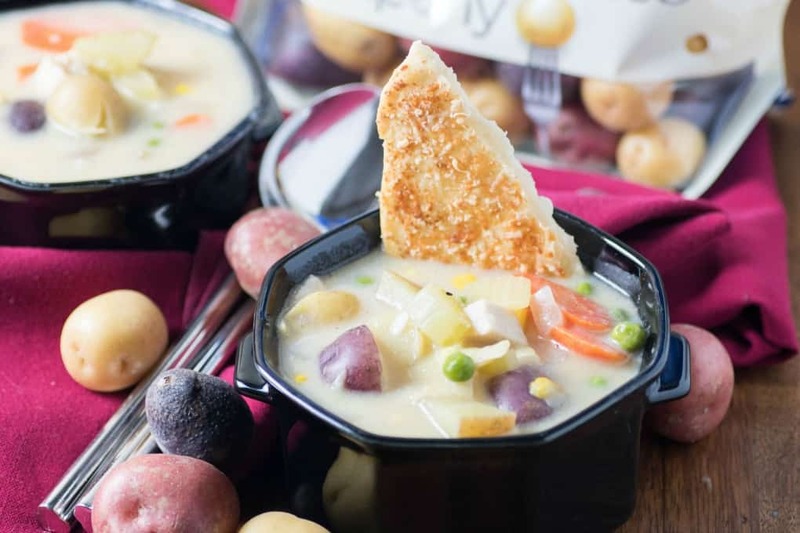 Let it snow outside when you have a warm bowl of soup to hug! 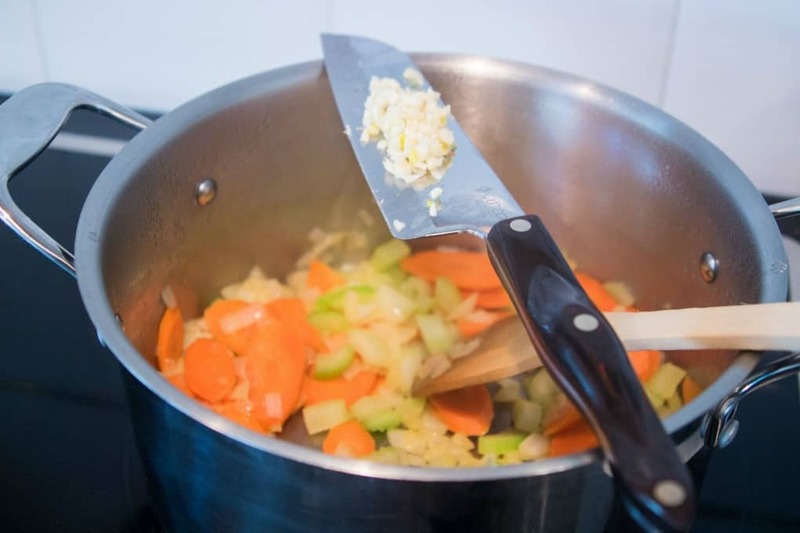 Let’s run through the quick and easy steps in making this soup. 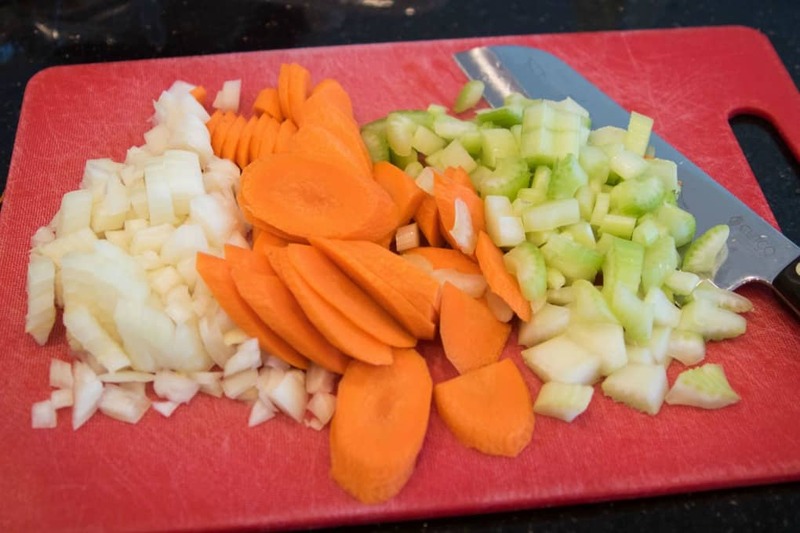 Instead of chopping the carrots up into smaller pieces, I like to cut them on the diagonal to give the soup a heartier feel. This soup is lightened up too as I am sure you all indulged over the holidays and are now looking for lighter meals. 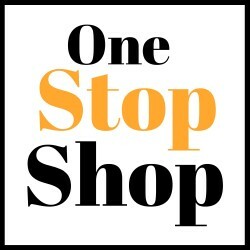 I used only 1 Tbsp. of butter to saute up the veggies. Once the onions are transparent, you add in the garlic!! Adding in 3 Tbsp. of flour will make sure this soup gets that nice creamy texture. Make sure to mix it well to coat all the veggies. Mixing it further than this picture will get you an evenly thick sauce with using less butter. 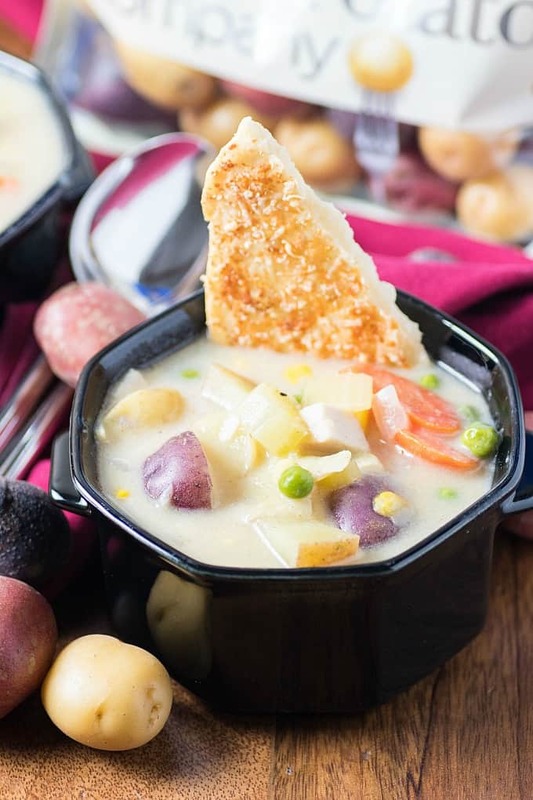 Adding in water, milk, broth and potatoes is the next step in creating this gorgeous soup! You can use a skim milk or 2% to keep the calories down! At this point you will want to season it and then check again in the end for seasoning. Now while the soup simmered Amber helped me in taking a refrigerated pie crust, giving it a quick egg wash and sprinkle of parmesan and then popping it into a hot oven. You can omit this pie crust in this recipe and still have the most delicious of soups with very few calories and tons of nutrition! 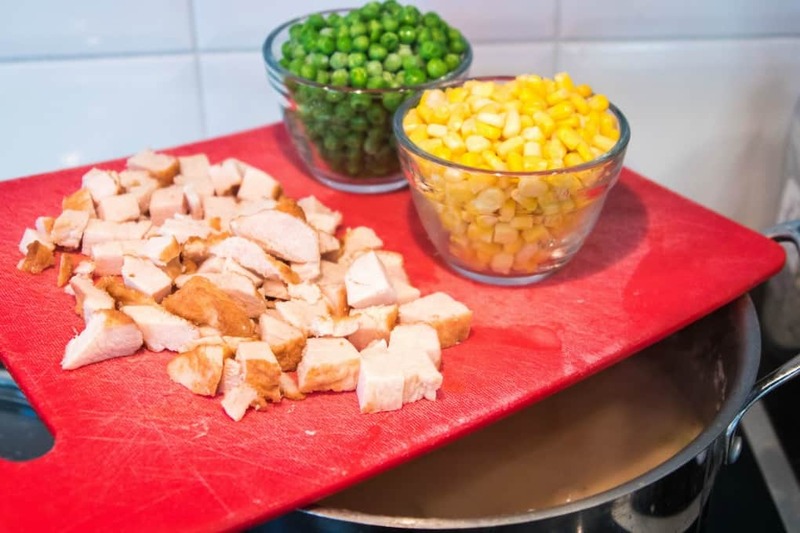 The last items to go in is the pre-cooked chicken, peas and corn and voila an amazing dinner is to be had! The soup alone is only about 250 calories per serving. The pie crust, well……. that breaks the bank, so we have left that as optional. 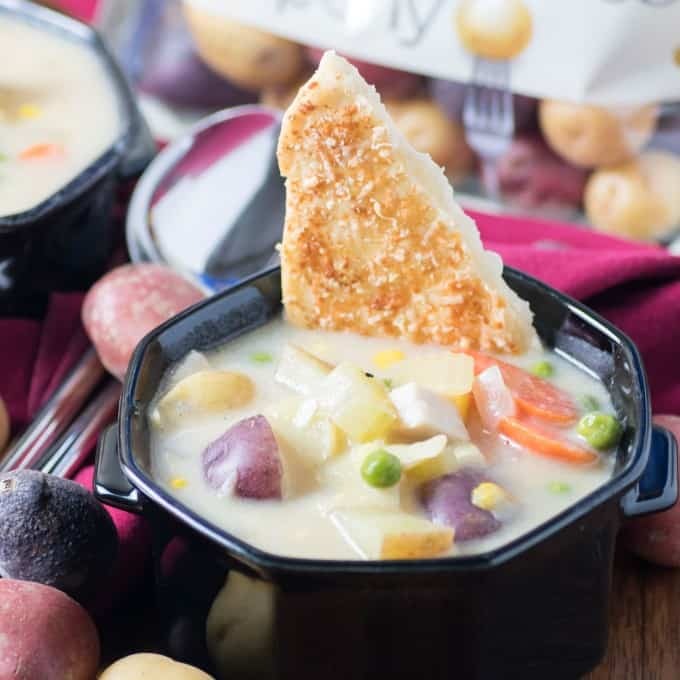 This Chicken Pot Pie Soup is a real winner for a cold winter night. So easy and nutritous, you will love making it again and again and your family will ask you for it too! 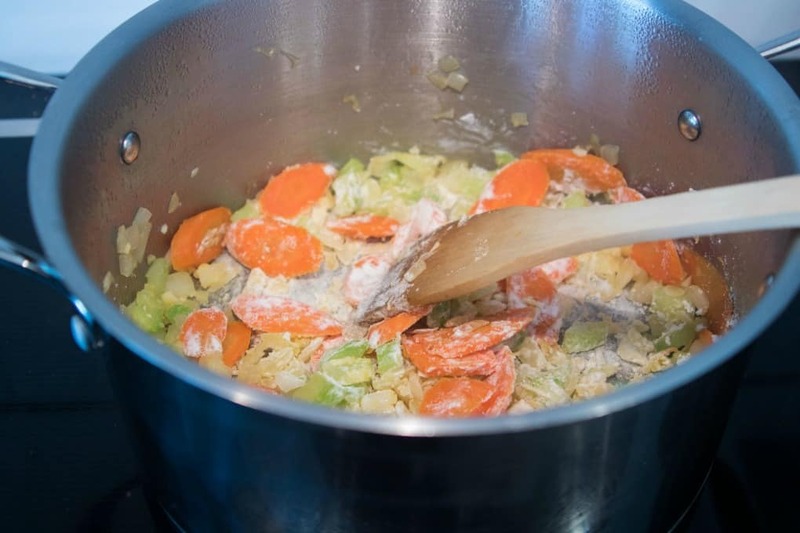 In a large pot melt the butter over medium heat and add the onion, carrots and celery. Cook until the onions are translucent about 5 min. Add the garlic and cook for about 1 min. or until fragrant. Add the flour and stir to coat everything well, it should look like wet sand. Meanwhile preheat oven to 425F. Add the water, broth, milk and potatoes. Bring to a boil and then reduce to a simmer and cook for 15 min. or until potatoes are tender. Season with salt and pepper. While the potatoes cook prepare the pie crust. 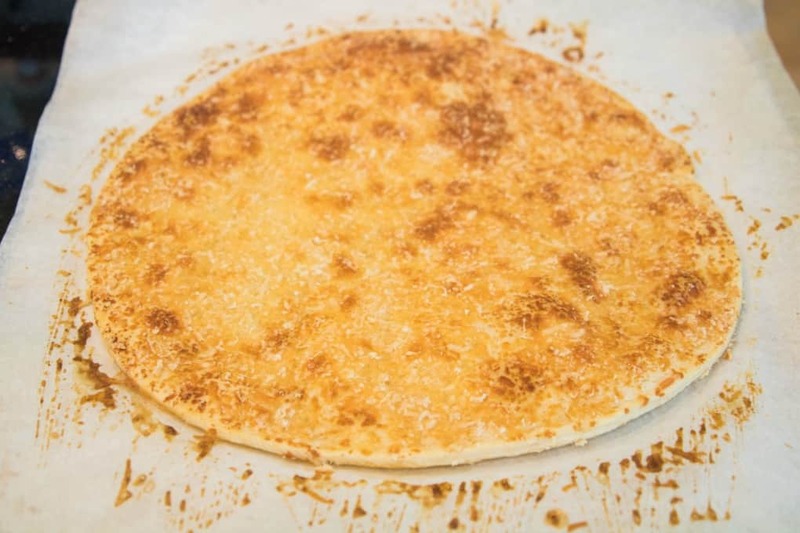 Line a baking sheet with parchment paper and roll out the dough. Brush with egg wash and sprinkle evenly with the Parmesan cheese. Bake for 15 min. or until golden brown. Let cool and break into pieces to serve. Once the potatoes are tender add the peas, corn and chicken. Cook until all is heated through. Serve with pie crust dippers if using. I have to give this recipe a try! 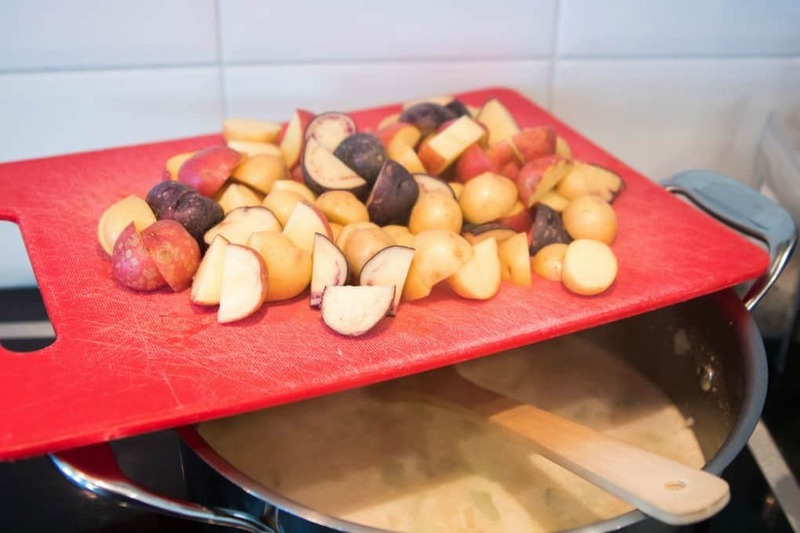 There are two things I love to do with traditional recipes – turn them into casseroles or soups. This sounds like a winner! Now that is a hearty and yummy meal! I was looking for something for dinner for tonight! This is perfect! This is a great recipe for this time of the year. We are going skating this weekend and this will be a great recipe to warm up with. It looks so delicious and easy to make.